Mardi Gras is Tuesday, are you ready to celebrate? If you can’t make it to Mardi Gras this year, you can still celebrate at home. Traditionally, Mardi Gras day is the last day to indulge before Lent. Whether or not you observe Lent, Fat Tuesday is certainly a good time to indulge in some wonderful food. Mardi Gras is my favorite time to go back home but since I live in Texas now, I don’t get back as often as I’d like. Even so, I can still enjoy some of the classic recipes I grew up with. I’ve gathered up a few of my favorites from my recipe archives to share with you today. They’re all tried and tested and loved by my family. When I make each of these recipes, I think of home. New Orleans Style Red Beans and Rice – A classic New Orleans recipe for Red Beans and Rice made with red beans, spicy sausage, onions, garlic and green bell peppers. One of my family’s favorite meals! Mardi Gras Meringues – Celebrate the season of Mardi Gras with these festive Mardi Gras Meringues. With a crisp outer shell and slightly chewy center, these delicate cookies will melt in your mouth. Decorated with swirls of the Mardi Gras colors, these simple treats will bring a bit of the Fat Tuesday fun into your own home. Seafood Stuffed Eggplant Casserole – Bring the wonderful flavors of Louisiana into your kitchen with this mouthwatering Seafood Stuffed Eggplant Casserole – thick pieces of shrimp, crabmeat, salty diced ham, and a mix of flavorful vegetables underneath a cheesy crusted topping. Fried Bowtie Pasta– cooked pasta seasoned with cajun spices and fried. 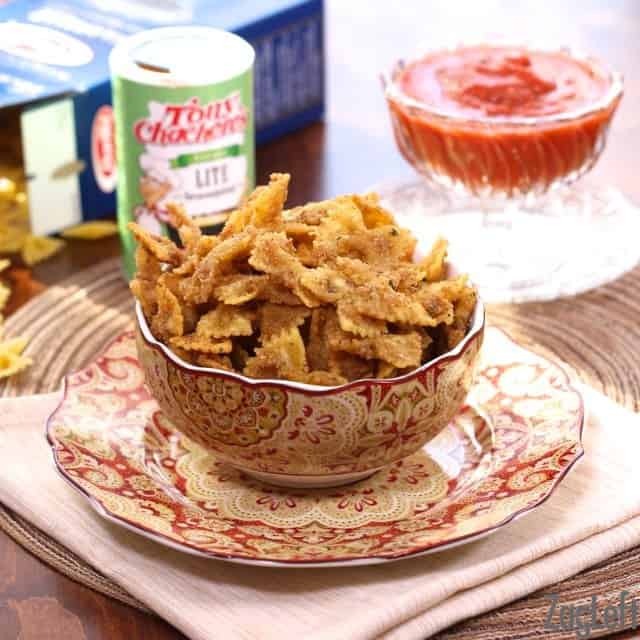 A crisp and tasty Louisiana snack served with a marinara dipping sauce. Crustless Creole Quiche – loaded with shrimp, crawfish and ham. It’s perfect for dinner or brunch and is so tasty, you’ll never miss the crust! Mint Julep – the traditional drink of the Kentucky Derby, but I have fond memories of enjoying Mint Juleps in the Quarter. New Orleans Muffuletta – This traditional New Orleans Muffuletta recipe is a favorite of ours. Layers of meats, cheese and a special olive salad piled high onto sturdy Italian bread. Red Beans and Rice Casserole – All the rich flavors of traditional Red Beans and Rice are found in this easy and tasty baked casserole. Pecan Praline Cookies – These delicious Pecan Praline Cookies are packed with chunks of buttery pralines, crunchy pecans and sweet chocolate chips. Thank you, Heather. Mardi Gras in New Orleans is a unique experience, hope you get to experience it one day. Perfect collection for Mardi Gras. Thanks for sharing! Oh my so many good options, I want all of them! How fun that you’re from New Orleans! 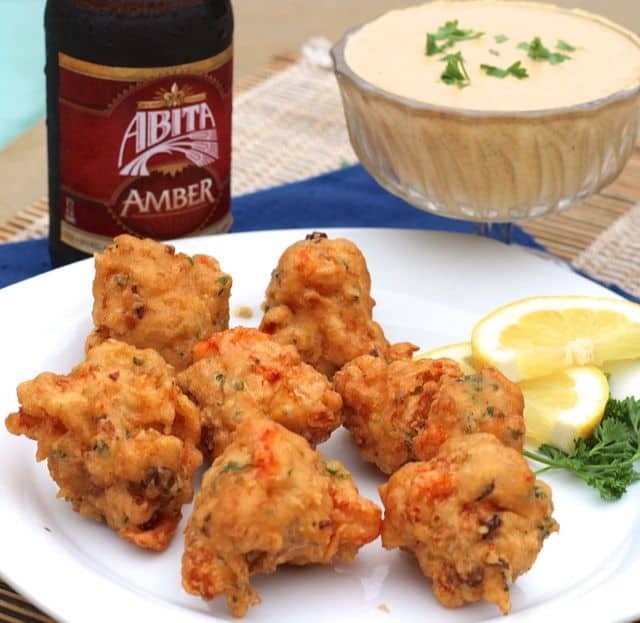 So many great dishes to celebrate with — the Crawfish Beignets with Spicy Remoulade Sauce pretty much look to die for! Thanks for sharing! Those beignets are totally awesome. Thanks, Patricia! This collection just made me really hungry! Thanks, Anna. New Orleans food is the best. I totally want to go back to New Orleans! Such a delicious city to visit and you have such a great roundup of recipes to try. I’m loving those crawfish beignets and the pretty meringues!! I wish we celebrated Mardi Gras every year. It is so fun. We hit it once in a while and maybe this line-up will help keep us on track. Thanks – wonderful recipes! This is such a great post!! I love New Orleans, probably my favorite city ever, and the food there is some of my absolute favorite. All these recipes look fantastic! Everything here looks SO good, I have never been to New Orleans but I sure love making recipes like these! I seriously want to try them all! What a great collection of New Orleans recipes! Thank you for collecting these! These all look SO GOOD! I’ll have to try some of these out soon!